Online pokies for Mac aren’t nearly as difficult to find as you may think. There are many Australia-facing online casinos out there, loaded with exciting online pokies that are fully compatible with a Mac operating system (OS). Mac online pokies, or “online slots” to the rest of the world, dominate the game variety of just about every casino on the world wide web. That’s great news for fans of online pokies, but even better for Mac users who aren’t able to download the standard online casino software due to compatibility issues. You would think that after more than 15 years of online casino operations, at least one industry software developer would have designed a casino client specifically for the Mac platform. You would think… unfortunately, that isn’t the case. However, there are definitely a few options out there for Mac casino players. The good news is that most casinos do provide a Flash version of their online casino, making it possible to play Mac online pokies just as easily as Windows PC users who download the casino software. Flash technology has come a long way over the last decade. In addition, most computer users are connected to the internet by way of a broadband connection; an astounding upgrade from the wide-spread plague of dial-up we were all subject to in the earliest days of the online casino industry. These elements combined have made Mac online pokies much more enjoyable. Flash-powered casino software is compatible with all major operating systems, including Windows PC, Mac and Linux. It does not have to be specially designed to suit one OS over another, so long as it is compatible with the internet browser used by the player. Microsoft Internet explorer (IE) is the most common browser, and recommended for running Flash-powered online pokies, but most other browsers will run the program just fine. 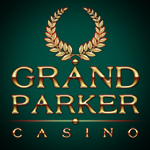 The most common complaint about Mac online pokies is the lower-grade graphics when compared to downloadable casino software. “Lower-grade” sounds like a bad thing, but in reality, the graphics and animations are still very crisp and clear – just not quite as sharp as Mac-unfriendly download casinos. In the same token, the ability to customize the graphic appearance can be a major benefit for those who use flash to play Mac online pokies. Simply right-clicking the screen brings up several customization options. Choose “Graphics” and you’ll be able to set the grade of graphics at Low, Medium or High. By default, the graphics are set to High, but if for any reason the games are running a bit slow or twitchy, simply lowering the graphics to a Medium grade, you can resolve the problem. You won’t find that option in any downloaded casino client, and since online pokies are highly animated, it can actually be an annoyance to some PC casino players. So what have we learned today? Playing Mac online pokies is a simple matter of joining a reputable online casino that accepts Australian players and offers a Flash-powered, instant-play casino. Depending on the software provider of your chosen casino, you can have instant access to hundreds of Mac online pokies.